The report’s findings, which also predict a widening of the gap between rich and poor and four more years of weak income growth, pose a direct challenge to Theresa May, who arrived in Downing Street pledging to help those “just about managing”. May has slightly softened the impact of the £12bn of welfare cuts announced by the then chancellor George Osborne after the 2015 general election, but the IFS said the impact on poor families would still be severe. By 2021-22, the IFS expects 37% of children to be living in relative poverty – defined as a household where the income is less than 60% of the UK median – after housing costs have been taken into account. The thinktank said this was the highest percentage since modern records began in 1961. Tackling child poverty was a priority for Labour when it took office in 1997 and over the next 13 years the rate fell from 34% to just under 30%. Since then, the relative child poverty rate has remained unchanged but, according to the IFS, is now set to increase by seven percentage points to 37% over the next five years. The IFS added that relative child poverty would be higher by the early 2020s than it was before the recession of 2008-09 in every region of the country, but that 40% of the projected increase would be concentrated in the most deprived 20% of local areas. Tom Waters, an author of the report and a research economist at the IFS, said: “Every region and nation is projected to see an increase in child poverty, with the largest increases in the north-east, east Midlands, Wales, and Northern Ireland, and the smallest in London, the south-east, and south-west. 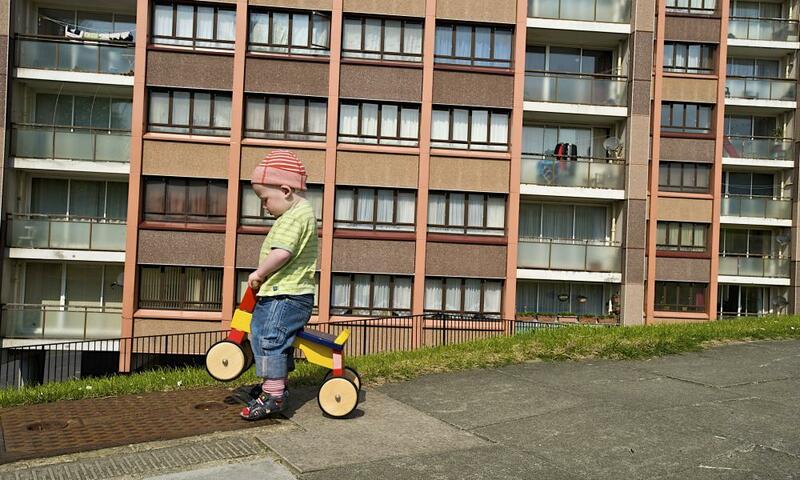 The IFS said the increase in relative poverty over the coming years would be concentrated among families with children. Poverty rates for working-age adults without children and for pensioners would remain roughly unchanged. Living standards would continued to be under pressure over the coming years, the thinktank added, noting that the weakness in income growth since the recession had been unprecedented in recent times. Median income growth had slowed from its historical average of 2% a year to 0.5% between 2007 and 2015, and was projected to increase by 0.8% a year in the period up to 2021, the report said. A decade and a half of weak growth meant median incomes in 2012 were on course to be 20% lower by the end of the current parliament in 2022 they would have been had the pre-recession trend continued. Income inequality narrowed between 2007 and 2015 because the squeeze on earnings growth hit those on higher incomes hardest while working-age benefits remained “essentially unchanged”, the IFS said. It added, however, that this trend would be reversed over the next few years, “with real earnings growth boosting the incomes of those at the top of the distribution more, while benefit cuts fall largely on those nearer the bottom”.